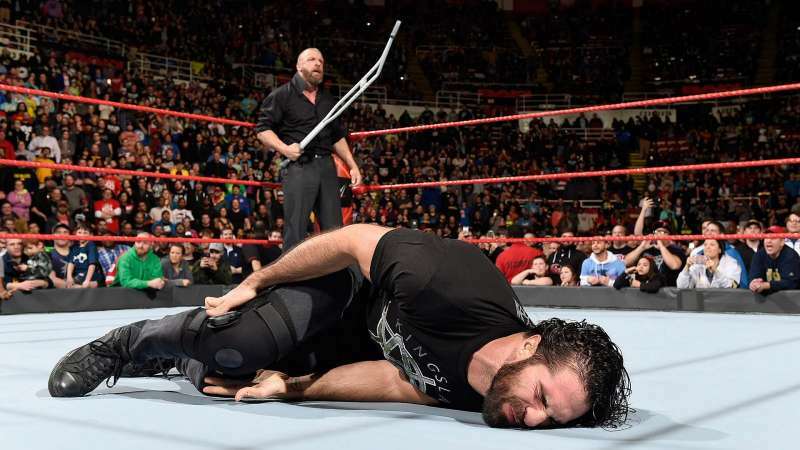 This week’s RAW continued the March on the road to WrestleMania. With the matches seemingly set in stone, the red brand looked to take its game up moving closer to the showcase of the immortals. RAW opened with a highlight of the previous week where Brock Lesnar hit an F-5 on the Universal Champion, Goldberg. Brock Lesnar’s music hit to kick off the show. The crowd began chanting suplex city. Heyman was on his knees, sarcastically in awe of Lesnar hitting an F-5 on Goldberg the previous week. He began hyping up Brock Lesnar. 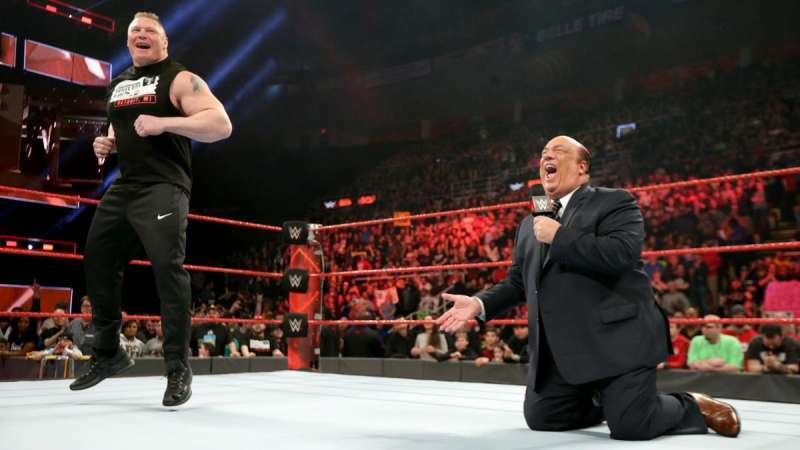 The crowd began chanting “Goldberg” and booing Heyman and Lesnar. Heyman seemed to introduce Goldberg to the ring but said that he wasn’t there at the venue. He also began calling Lesnar’s story the greatest comeback in sports entertainment history. Charlotte Flair wanted Dana Brooke to “make sure” Sasha Banks to make it to WrestleMania. Bayley was at Sasha’s corner while Charlotte Flair was in Dana’s. The match didn’t take long, as Sasha finished Dana with a roll-up pin. Charlotte took the mic and started abusing Dana. Dana snapped and attacked Charlotte, seemingly turning face in the process. Chris Jericho & Sami Zayn vs Kevin Owens & Samoa Joe was announced for later.